December - What To Do? This is not the time of year to give up on your garden area and patio planters. We would like to make a few suggestions on some simple things that need to be done and should be done to help keep things looking lovely. 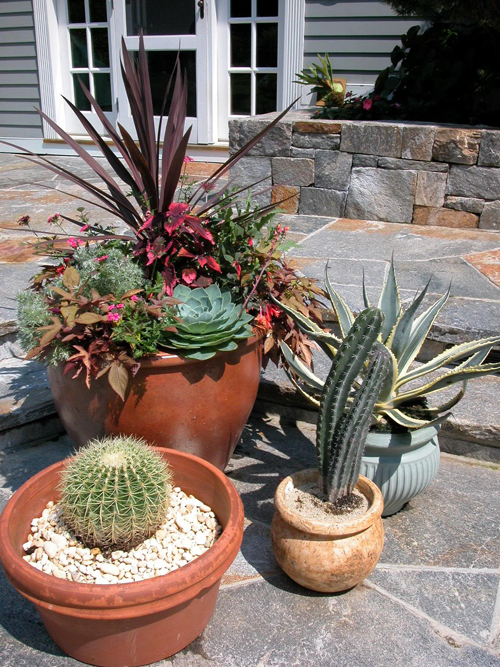 Start by filling existing planters or new containers with succulents and cacti. Pick from the wide variety available and create some interesting displays. The local nursery in your area should have plenty to choose from. Remember to mulch the top soil with fine gravel, faux rocks or garden mulch to help them survive thru the cold winter months. 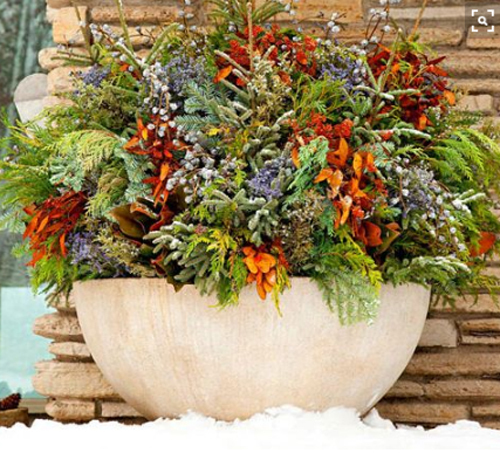 Do not plant in a terracotta clay pot that will absorb moisture and crack if exposed to freezing temps. Order pre-cooled bulbs that are shipped this month or next. You can order them online or check with your local landscape company to see if they supply them. 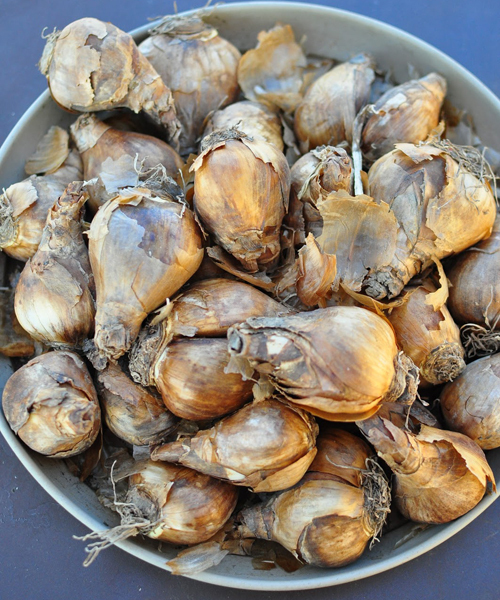 You can force them to bloom by the holidays or store them in soil, a garden pot and in the dark so that they are ready to go next Spring. They come in so many different color and styles that it's fun to experiment with different looks each season. The paper whites are the most popular for the holidays but check out the suppliers to see if something new has arrived on the scene. 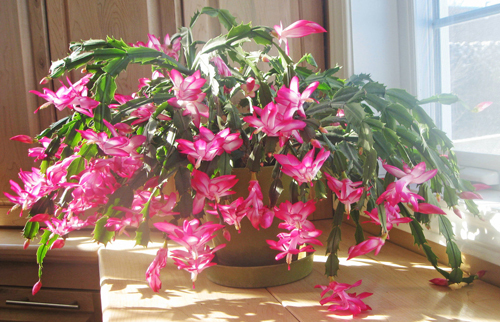 Christmas Cactus with orange, pink, red, white or yellow blooms, will flower this month. Grow this long lived houseplant in bright indirect sunlight. When it's flowering, water and feed it weekly with liquid cactus and succulent fertilizer. Always start with a stunning glazed container that will compliment the blooms and add color and warmth to your home, especially during these cold, dark winter months. 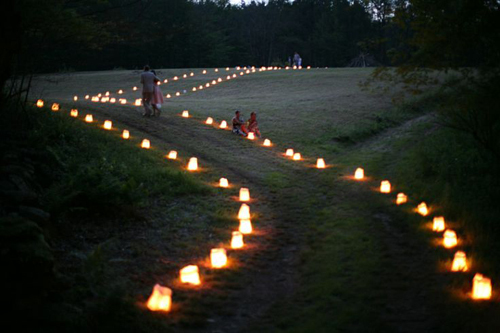 Because it gets dark so early in the evenings, now is the time to line walkways and garden paths with outdoor lighting, garden luminaries or lanterns. You can even use paper bags, filled with sand and place a tealight candle inside for special occasions or holiday celebrations. Also, think about giving gifts that are alive and lasting. Potted herbs, topiaries and terrariums are all popular and easy to do. Browse your local book store garden section. There are many new coffee table books this time of year and idea packed books for next season. Collect some fresh ideas for containers, and plant materials to try out next year. Decorate with natural materials collected from your own yard. Branches, cuttings and twigs make great swags, and wreaths. Combine silvery foliage and add depth and beauty. Lots of pods, pine cones and nuts are great for filling empty garden plants with and they look decorative and festive. Plant butter head and romaine lettuce seedlings for salads thru winter. Use clay pot and keep in a sunny indoor window. Easy and fun! Read more.....Do you have this problem? Read more.....Winter care for houseplants.